"Nurturing children to build a secure foundation for their learning and well-being in partnership with their families"
Located in the heart of the beautiful Candover Valley, Candover Valley Pre-School has been established for over 30 years, moving into the school building 22 years ago. 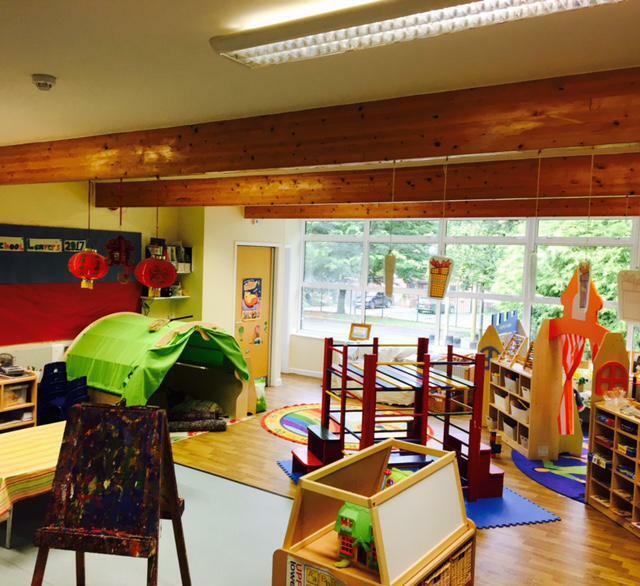 Candover Valley Pre-School offers day-care Monday – Friday for Pre-School children from 2 years. Candover Valley Pre-School is a registered charity run by an elected committee of parents. Major decision-making is in the hands of the parents who use the pre-school. We are an equal opportunities pre-school and affiliated with the Pre-school Learning Alliance. We are registered with Hampshire County Council Services for Young Children and with Ofsted. Our last three Ofsted inspections in 2007, 2010 and 2015 were graded Outstanding. CVP children progress to a number of local primary and independent schools. CVP was awarded a consecutive Outstanding rating by Ofsted in September 2015, here is a summary of the most recent report. "Overall the quality of the provision is Outstanding"
"Children develop their skills exceptionally well in this happy and well-organised environment. Progress is monitored very carefully ensuring that children receive the support, help and encouragement they need to make excellent progress. Parents comment on the high quality of the provision, the excellent progress their children make and the warm welcome they always receive. Partnerships with others are exceptionally well established. Staff have strong working relationships with the school, the children's centres and local authority. This enhances the high-quality service they offer"
To see a copy of of our recent Ofsted inspection, please click on the link below. Our children have a well-resourced safe and stimulating environment in which to play and learn. We have a large sunny purpose built room with a well-equipped secure garden. Free flow of play inside/outside occurs daily. We also have access to Preston Candover Primary School's hall for PE sessions and the school field and playground for running, parachute games and other activities outside. Inside we have an impressive collection of small world resources, puzzles, puppets, a climbing frame, a home corner, ICT toys and computer, book area, craft/creative area and an ever growing lending library of books. 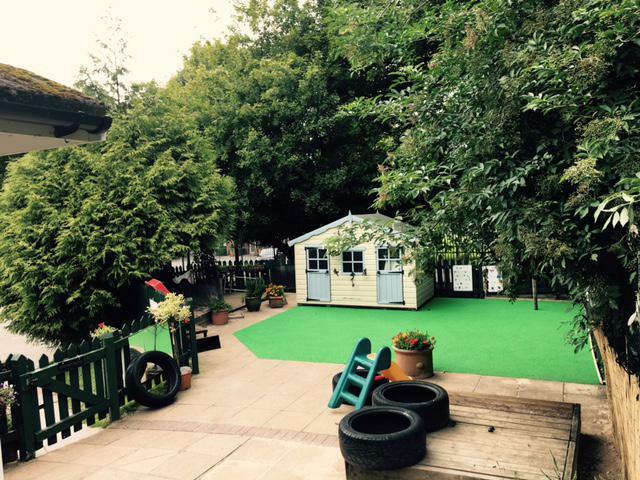 Outside, the garden provides a rich learning environment with a mud kitchen, sand pit, water table, tyres and milk crates, slide, playhouse, vegetable plot, herbs, construction resources and ride-on toys. On a Tuesday we offer French lessons and on Thursday a Dance and Movement class as an optional extra for your little ones to get involved in. We are a very close team and work with parents to ensure all our children feel happy during their time with us at pre-school. Regular contact with parents is important to us, including regular feedback and teacher/parent sessions to discuss anything you wish. Where possible we offer the children the opportunity to visit local farms and go on woodland walks to enhance their pre-school learning experience. 'Both boys could not be happier at CVP. They go to Pre-school with huge delight and a spring in their step!'. 'Absolutely love CVP and how much my children love attending. They have made some lovely friends and it completely prepares them for the move to big school'. My son has been attending CVP for about 18 months and he absolutely loves it. The staff are wonderful and everyone is so friendly. I would highly recommend it.